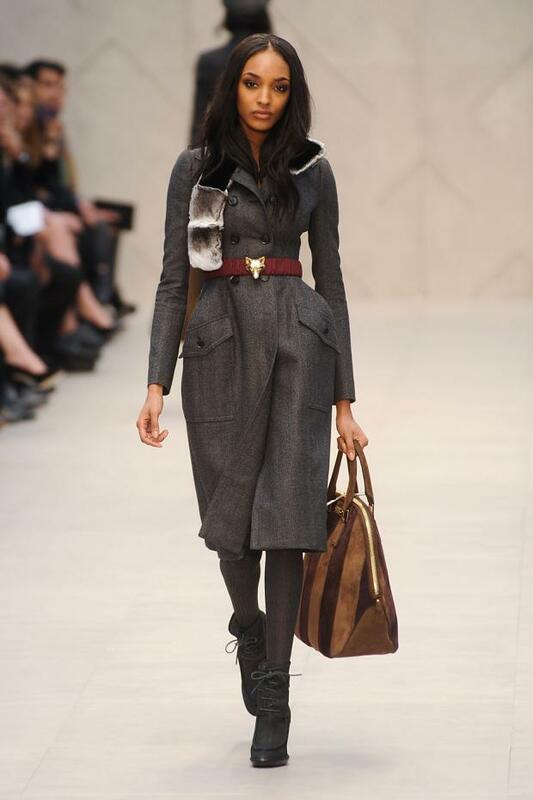 Christopher Bailey's Collection for Burberry had a 30's feel to it. 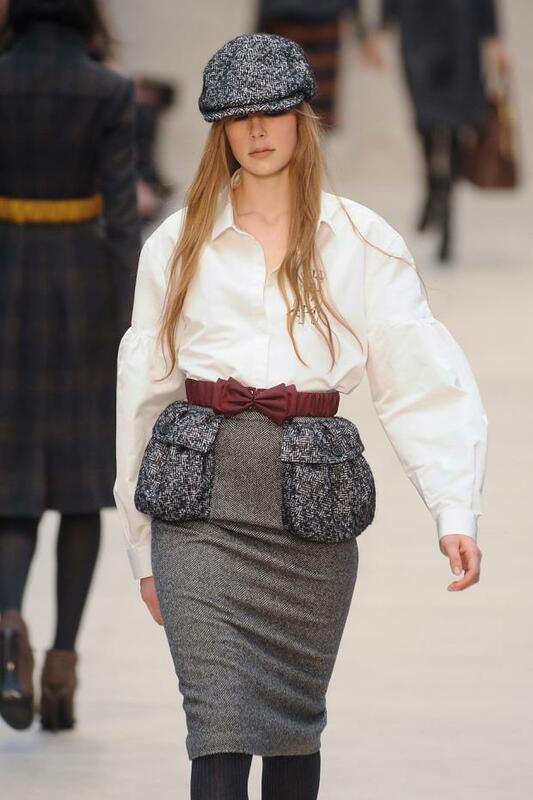 The fabrics chosen ranged from tweed, lightweight wool, fur, velvet, cashmere, silk and chifon in shades of grey, bordeaux, mustard and carmel. The silohuettes consisted of hourglass, taylored double breasted coats and jackets. Skirts had cute belts with maxi bows.